SWIM upstream blends JoAnne’s extensive experience in organization and leadership development with her commitment to the empowerment of individuals in organizations. Her diverse experience brings together insights from global corporations as well as from remote communities in impoverished areas of the world. She is from Ottawa and was educated at the universities of Carleton and Toronto in Sociology and International Cooperation. She has taught Collective Behaviour, Race and Ethnic Relations and Organization Behavior at colleges in Toronto and Geneva and has worked in Community Development in Canada, Niger, Haiti, Indonesia and Nepal. Responsible for management training at Digital for 9 years JoAnne developed and delivered training programs in managing team performance and meeting facilitation. JoAnne is recognized for innovative approaches to training and meeting facilitation. She incorporates elements of Dramatherapy and Transactional Analysis to expand understanding of interpersonal dynamics. JoAnne has always dedicated time, passion and energy to women’s leadership and empowerment and is active as a speaker and in professional women’s associations across Europe. 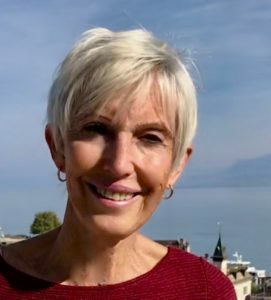 She is past president of the Career Women’s Forum in Geneva, a former Associate of DIAFORA, gender and diversity consulting and served on the Advisory Board of W.I.N., the Women’s International Network Conference.